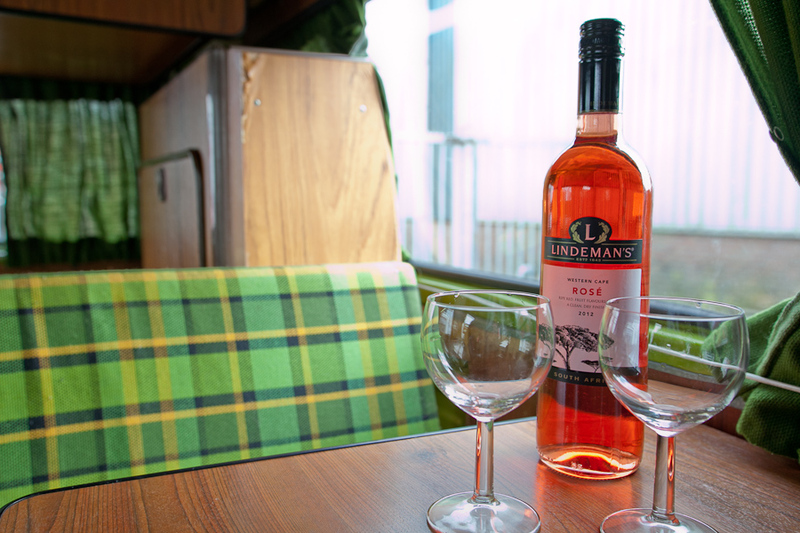 Do you want to experience the mood of the seventies? 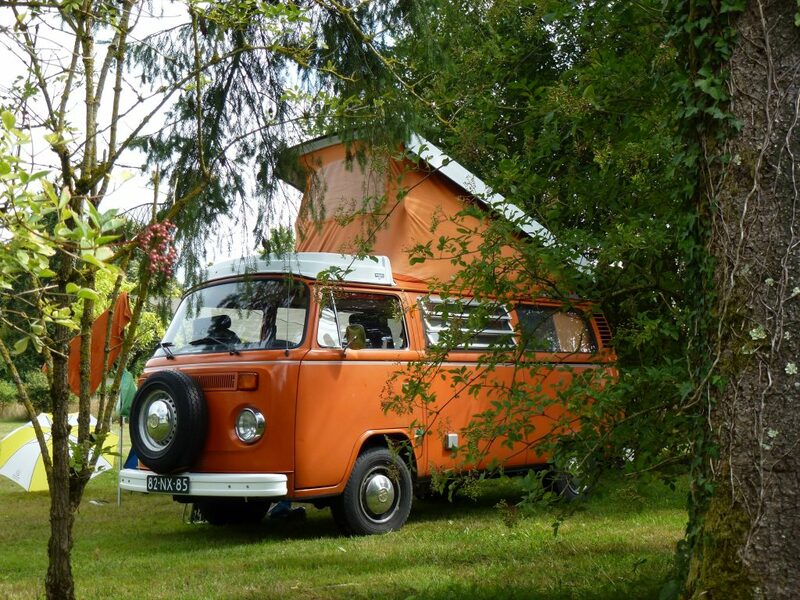 Will you be happy with a well maintained VW T2 Westfalia campervan? You are going to drive small distances? 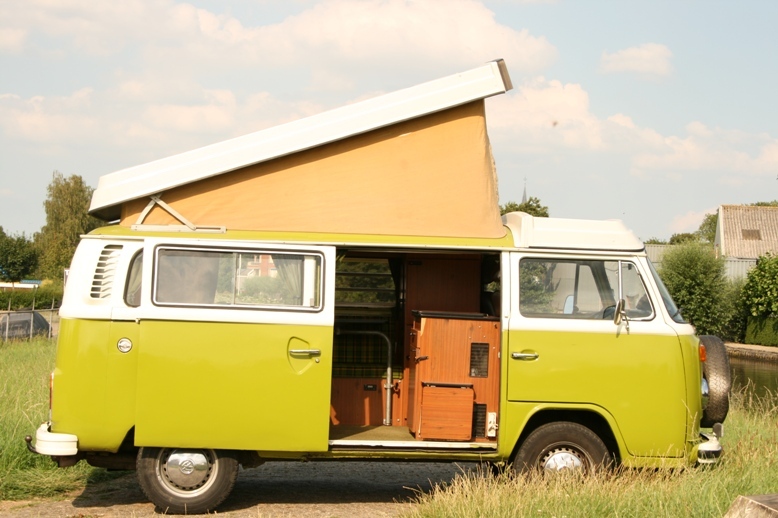 Then your best choice will be renting a VW T2 campervan! We met the owner of Camper Experience in our homecountry, had good times. 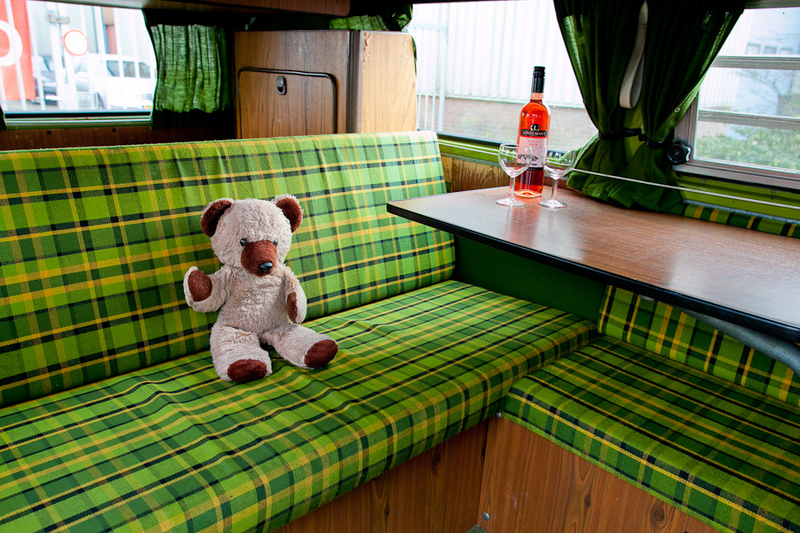 Now we went to Europe and rented one of his motorhomes, a Fiat McLouis. Happy to see you again, thanks for the service! We rented a Ford Nugget for 3 months. After a friendly welcome at Camper Experience we made a terrific trip to the Spain. The camper was great, everything was there, great trip! Thanks! Fantastic trip! what a wonderful holiday we had. 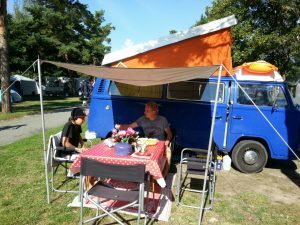 Thanks to the extra information Camper Experience gave us, we had a quick start of our trip to scandinavia last summer. Perfect! Do I have to bring my own bedlinen? No, you can hire it from us. What should I do if I have a breakdown? Make 2 phone calls: 1 to the roadassistance company (SOS International), and 1 to us. Through our road assistance company membership, you have insurance coverage for international breakdowns, towing and replacement vehicle services (the replacement vehicle is a camper or motorhome). Can I fit childs seats in the camper? Yes, on the back seat, using the seat belt. Child seats can be provided. 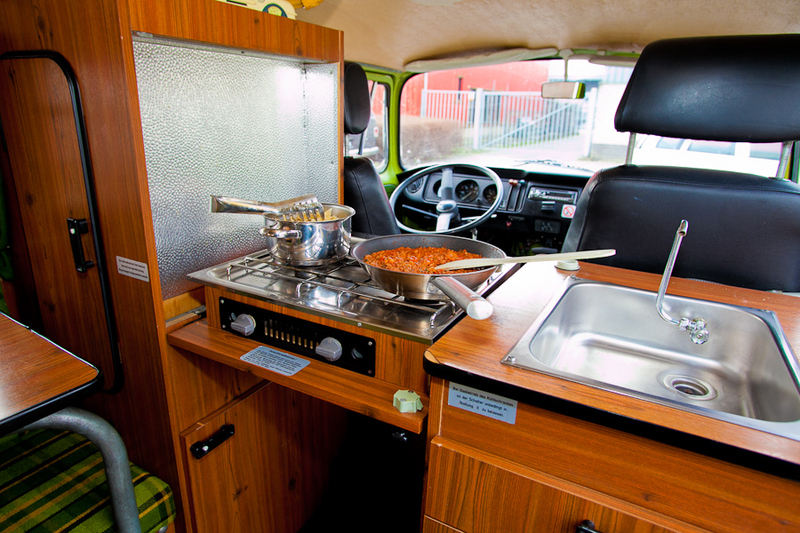 Do we have to fill the camper with gas for the fridge and the cooker? You will have to take care of your own gas. Normally there is always some gas left from the previous renter. 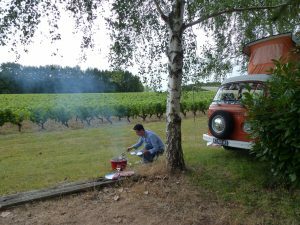 On all campsites in Europe you can change gasbottles or fill the gastank, so no problem.